What if we always assume that everyone has good intentions? Wouldn’t it change some of our responses, as well as the final outcome of the conversation? People often ask me why I homeschool. If I feel the question is judgmental and therefore give a quick one-sided defensive response, the conversation is usually over. On the other hand, if I assume their questions are simply due to curiosity, or if I think they’re searching for valuable insight, then my answers are completely different. This response often leads to a real conversation. I can guarantee that the second assumption is better, every time, regardless of the initial intent of the other person. 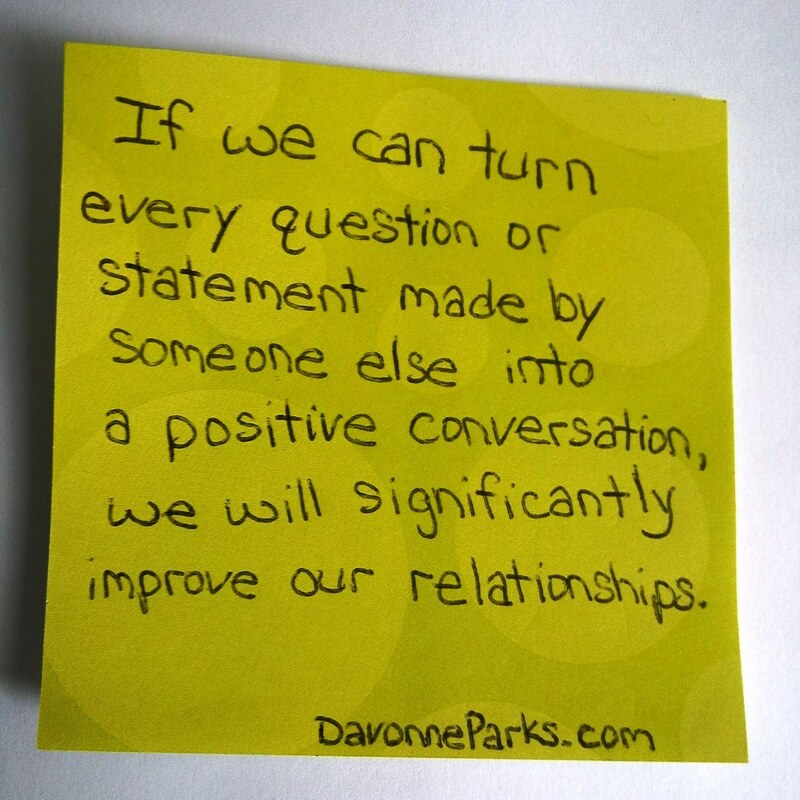 I have a theory that if we can turn every question or statement made by someone else into a positive conversation, then we will significantly improve our relationships. Now, I know this is much easier said than done, but I want to encourage you to try it. Assume the other person’s intentions are good (even if you’re pretty sure they aren’t good), answer with gentleness, and see if that doesn’t help the conversation.